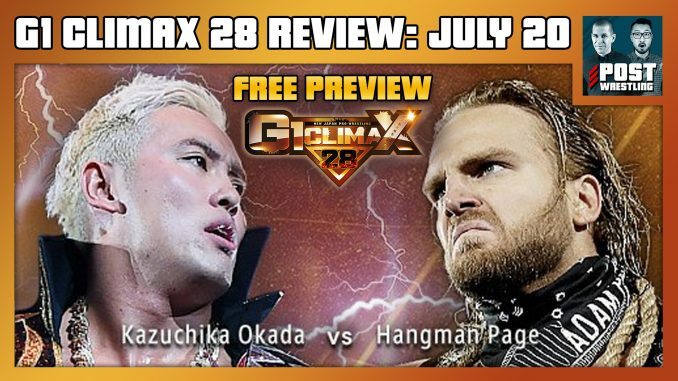 Day 5 (July 20) is headlined by Kazuchika Okada vs. Hangman Page and Hiroshi Tanahashi vs. Bad Luck Fale. We also give our updated Top 5 Matches and explain our coffee ratings system. Plus, John provides an update about the status of Roberto Alomar in his season of Baseball Mogul.